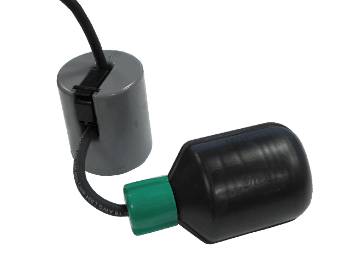 The Pulsarpoint 800 range of liquid level float switches and accessories offer the user a wide selection of high integrity devices, designed for very reliable operation when controlling the level of non-potable water and sewage. Versions are available to provide alarm control and pump control. The units have all been designed for maximum durability and dependability, and are manufactured to the highest standards. Mechanically activated designs are available. With units capable of switching operating currents from 5 to 13 Amps, pump up or pump down. The 800 series pump control switches have a wide angle operation to enable user adjustable pumping ranges from one pump switch. The 800 series alarm control switches have narrow angle operation to provide precise switch on and off points to activate pump control panels and alarms. 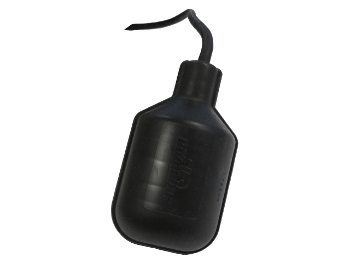 The floats are manufactured from high impact and corrosion resistant PVC or polypropylene and are suitable for liquid temperatures up to 60ºC. A specially designed seal bonds the cable into the float, preventing water ingress, whilst allowing flexibility and ensuring reliable operation. 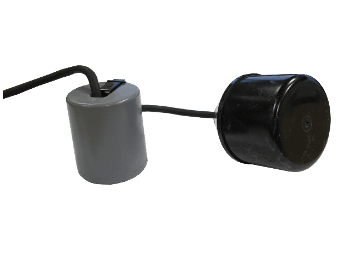 Pulsarpoint 800 series float switches have typical working life of over ½ million operations. Pipe clamp and cable weighted versions are available, as well as Single Pole Double Throw outputs for pump up or pump down operations from one switch. 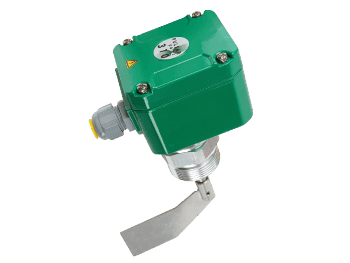 A low cost mechanically activated pump switch designed for use in turbulent conditions. Controls pumps up to 10 Amps at 115V AC, 8 Amps at 230V AC. Pump up, pump down or SPDT versions. The float is 7cm dia x 12.3cm (2.76in dia x 4.84in) and is manufactured from high impact resistant polypropylene. Adjustable pumping range from 20cm to 91cm (7.87in to 2.99ft). A mercury activated, narrow angle control switch designed to accurately activate pump control panels and alarms. There is a smaller version for operation in confined spaces. Switches currents of up to 5 Amps AC. Switch operating range typically ±1cm (±0.39in) from horizontal. Pump up, pump down or SPDT versions are available with the pipe clamp, integral weight (not SPDT) or cable options. The float is 8.6cm dia x 11.6cm (3.39in dia x 4.57in) and is manufactured from PVC. A high performance, mechanically activated narrow angle control switch designed to accurately activate pump control panels and alarms. Switches currents of up to 5 Amps AC. Switch operating range typically ±4cm from horizontal. Pump up, pump down or SPDT versions are all available with pipe clamp or cable weight options. The float is 7.2cm dia x 8.7cm and is manufactured from high impact resistant polypropylene housing. 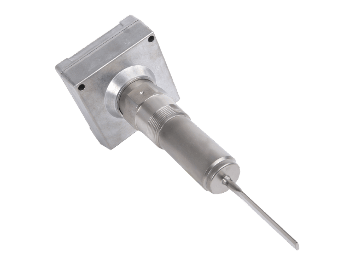 The Pulsar Signal Master SPDT can be wired to work in either normally open or normally closed applications. It is not sensitive to rotation. 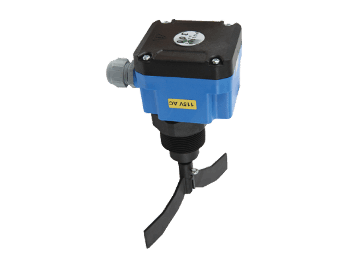 A low cost, mechanically activated narrow angle control switch designed to accurately activate pump control panels and alarms. Switches currents of up to 5 Amps AC. Switch operating range typically ±4cm (±1.57in) from horizontal. Pump up, pump down or SPDT versions are all available with pipe clamp or cable weight options. The float is 7.2cm dia x 8.7cm (2.83in dia x 3.43in) and is manufactured from high impact resistant polypropylene housing.